That’s a great wish list! 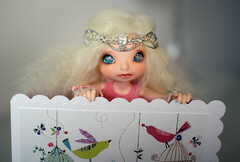 Littlefee dolls are my favorite fairyland line, I think they are all so cute! Hope you ge tthe tan pukifee Vanilla soon! That is a nice wishlist! I hope you can get your grail, and also LTF Chloe is adorable!! Happy holidays! !